The naughty Race Car is being chased by the Police Car in this car cartoon for children. In the hopes to escape, Race Car sets a trap for the Police Car. 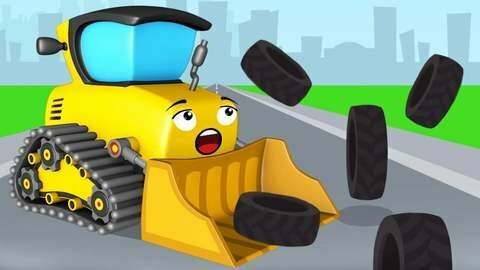 The Bulldozer then takes over and chases after the naughty Race Car. No traps are effective against Bulldozer and the Race Car soon gets caught. See more of the race car cartoons by watching them on SeeZisKids.com.